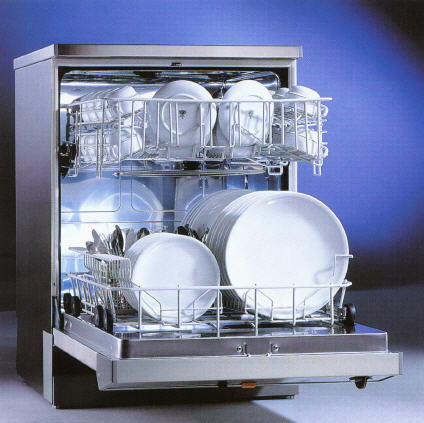 Do I really need to clean my dishwasher, why and how does one clean a dishwasher? Believe it or not, you actually really do need to clean your dishwasher, and ideally this should be done monthly. But the good news is that it is simple to do. 1. Remove all dishes from the dishwasher including any debris you may find in the bottom. Pour the white vinegar into the empty dishwasher. Do not use soap. 2. Turn the dishwasher on to the highest heat setting and run a full cycle. Ideally the temperature should reach 140 degrees Fahrenheit or higher for a full seven minutes to fully kill all of the bacteria and disinfect the dishwasher. 3. Clean the door gasket, door edge and seal on a weekly basis with a damp cloth to remove food particles and other debris. 4. Check for hard water deposits and clean spray arms on deep cleans to ensure that the spray arms are unobstructed. I have also discovered vinegar will get stains out of carpets...even the ones I thought were too ground in to ever get clean! I agree and I say this all of the time, vinegar, ph neutral dish soap and baking soda are the miracle cleaning products!! Great tips of cleaning a dishwasher. Very helpful for very housewife.